Since the introduction of the LS engine in 1997 there have been several variations of throttle bodies. They have ranged from the original cable driven, three bolt 78mm, all the way up the 90mm, electronically controlled four bolt found on the LS3. 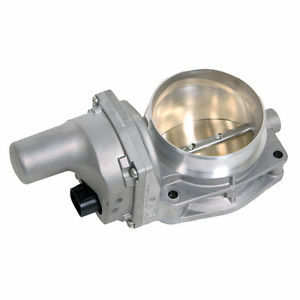 Depending on your application a larger throttle body can provide some additional power. The early LS1 found in the C5 Corvette used the three bolt design and featured a 78mm blade. It had a coolant pipe plumbed through the bottom side to help cold climate drivability. Bypassing this was a popular modification helping to reduce heat in the intake. The LS2 was introduced as the C6 Corvette’s new base engine for the 2005 model year. It featured a new four bolt throttle body design with a larger 90mm Silver blade. The electronics were contained internally using a single six wire connector. The coolant pipe and PCV vent were also eliminated. This was a great improvement over the previous design. 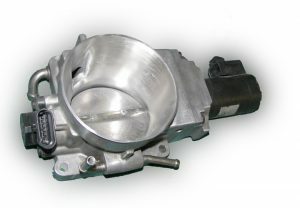 The LS2 throttle body was designed to work with 2008 and older vehicles equipped with E40 and earlier PCMs. In 2008 the LS3 was introduced in the Corvette followed by the Camaro SS in 2010. It featured a revised version of the LS2 throttle body. It can be identified by its Gold throttle blade and slightly different port shape. It is designed to work with the E38 PCM and it opens in the opposite direction as the LS2 version. There are several companies that offer a ported version of the LS3 throttle body producing a significant throttle response. 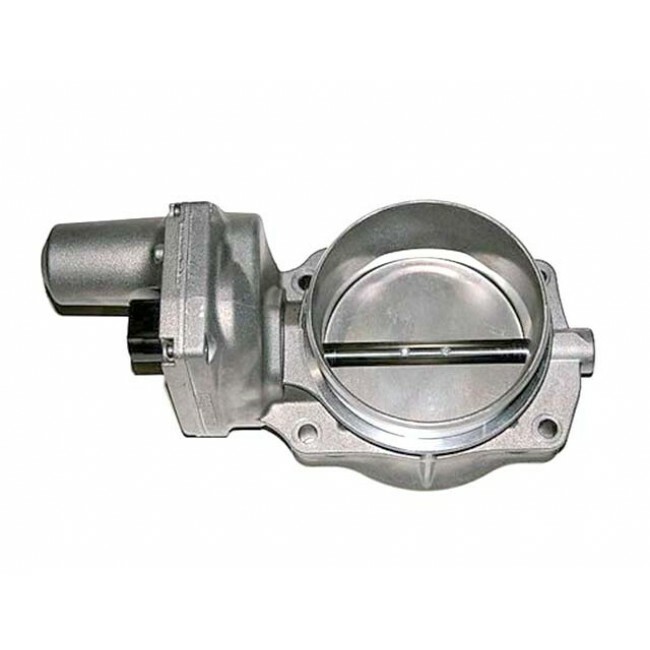 Depending on your LS application there are many throttle body options in blade size, bolt pattern and electronics. There are several companies that offer adapters to retrofit the larger four bolt throttle body on a three bolt manifold. This will also require a wiring harness adapter. This is a popular upgrade on forced induction applications. If you are building a LS engine for max horsepower, rest assured there is an option for you. 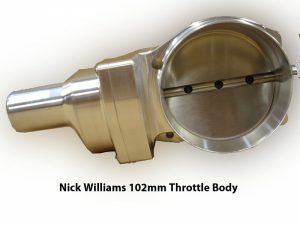 Nick Williams has a 102mm throttle body. 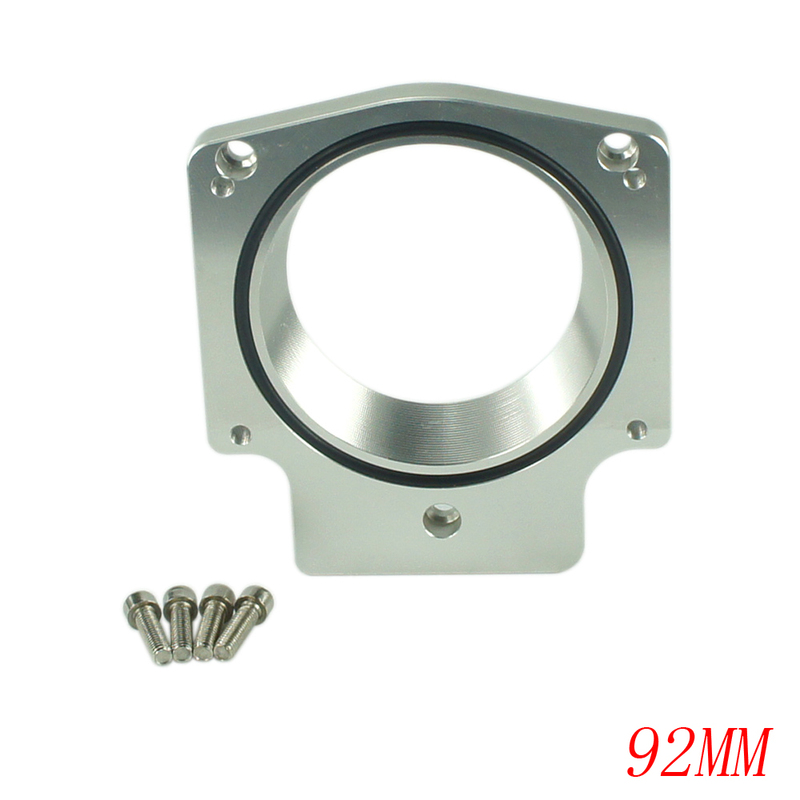 This is made from billet aluminum and comes fully assembled, ready to install on a aftermarket intake manifold.